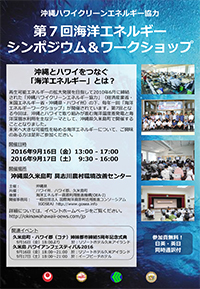 The 7th Okinawa Hawai’i Ocean Energy Symposium and Workshop will take place on Kumejima at the Gushikawa Rural Development Center on September 16 and 17, 2016. This yearly meeting between government, academics, and businesses takes place alternatively in Kona and Kumejima under the Okinawa Hawai’i Clean Energy Cooperation Agreement first signed in 2010 and renewed in 2015 between the US DOE, Japan METI, State of Hawai’i and Okinawa Prefecture. This year’s event is shaping up to be a an informative and collaborative discussion between parties on the possibilities of cooperation on renewable energies. The agenda includes keynotes, presentations, group discussions, and a panel discussion. 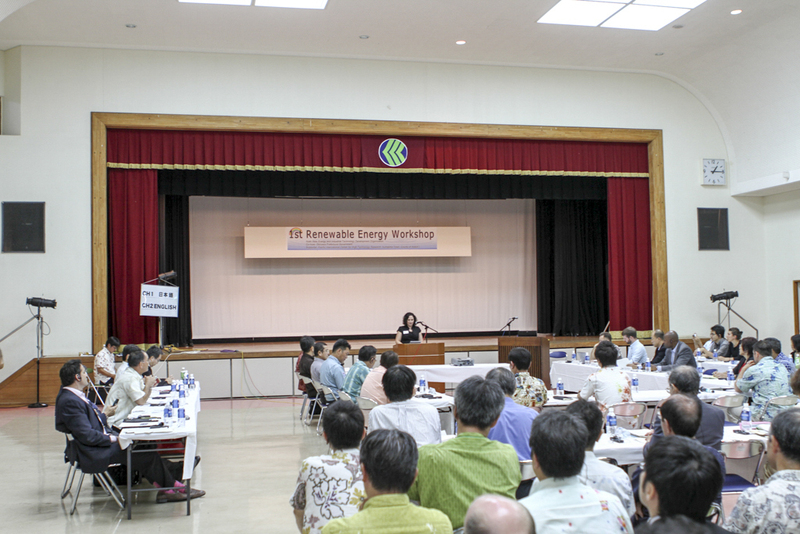 More information, including on the related 5th Sister City Anniversary Reception and 2016 Kumejima Hawai’ian Festival which are occurring on the evening of the 15th and 16th, can be found at http://okinawahawaii-oews.com. Those wishing to attend should make a reservation through the online form.